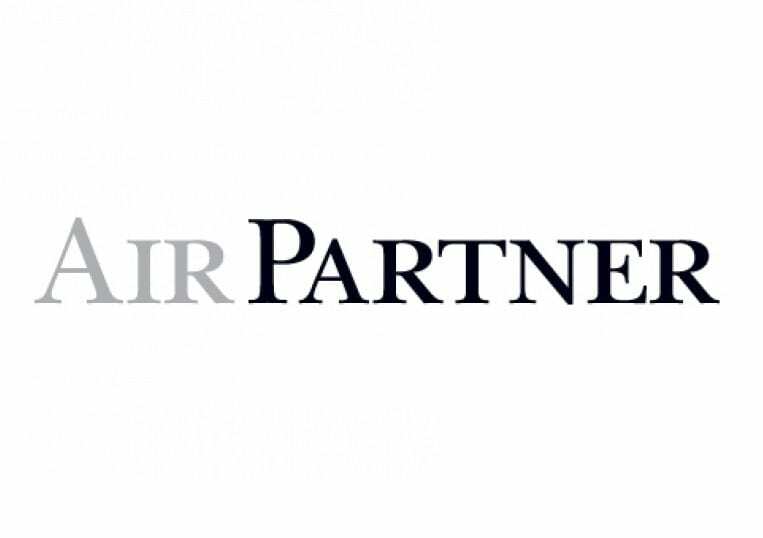 Ed Warner has been appointed as Non-Executive Chair of the Air Partners as of April 1, 2019. Ed will also chair the Nomination Committee and join the Remuneration Committee. Ed Warner has extensive PLC experience and has chaired the boards at a range of prominent organizations. He is currently Chair of Grant Thornton UK LLP, Blackrock Commodities Income Investment Trust PLC and derivatives exchange LMAX Ltd, as well as a Director of a suite of Dublin-listed investment funds managed by DCI. In addition, he is Chair of the Palace for Life Foundation and World Para Athletics. Ed was also Chair of Standard Life Private Equity Trust PLC from 2013 to the end of 2018 and of Panmure Gordon & Co between 2010 and 2016, as well as a Non-Executive Director of SafeCharge International Group from 2014 to 2016. Ed knows the broking sector well and was a Non-Executive Director of Clarkson PLC, the world’s leading provider of integrated shipping services, for over 10 years until February 2019. He served as Acting Chair for the last 11 months of this appointment. He also has a wealth of Financial Services broking experience from years spent in senior positions at several investment banks and financial institutions, including Old Mutual Financial Services, Bankers Trust, Dresdner Kleinwort Benson and, most recently, IFX Group, where he was CEO until 2006. Richard Jackson, who was appointed Chairman on an interim basis on 7 September 2018, will revert to his previous role as Non-Executive Director and Senior Independent Director. Air brokerage is big business, not only for Air Partners. Echelon Jets – Las Vegas, NV (LAS) – Echelon Jets is a full-service charter company which offers clients the finest in luxury aircraft for any need. Whether this is your first time chartering a flight or are in the market to outsource your flight department, with Echelon Jets, we can manage everything needed. A 2 B Air Charters Ltd – London, United Kingdom – A 2 B Air Charters provide Luxury Global Aircraft Charters From Anywhere To Anywhere. 24 hours a day, 365 days a year. ACC Charter – Surrey, United Kingdom – One of the UK’s leading aircraft charter companies with over 10 years experience providing commercial aircraft, private jets & helicopters for exclusive use. Aerotek Avia – Jakarta, Indonesia – International Air charter services, for passenger air charter, private jets brokerage and aircraft sales broker for Asia and Middle east. Air Charter Advisors – Fort Lauderdale, FL (FLL) – Air Charter Advisors arranges private charter flights to/from anywhere in the world for luxury vacations, business trips and special events. Air Charter Division – Walnut Creek, CA (OAK) – Air Charter Division is a full service air transport firm who specialize in sourcing and arranging custom charters for professional sports teams and collegiate athletic programs. Air Charter Global – Manchester, United Kingdom – Air Charter Global are based in Manchester UK and specialize in arranging private aircraft charters for any aircraft type to any destination worldwide. Air Charter Guru – Plano, TX (ADS) – Worldwide Air Charter Service by AirCharterGuru.com Specializing in Urgent, Time Critical and Project Cargo. We do Passenger Charters Too! 24/7 Dispatch – Any Aircraft – Anytime – Anywhere. Air Charter Services – Surbiton, United Kingdom – At Air Charter Service our mission is simple: To provide our customers with outstanding service, unrivalled flexibility and unparalleled value. Air Charter Team – Kansas City, MO (MKC) – Air Charter Team is a boutique brand of aviation professionals who provide secure, reliable private aircraft charter services, throughout the world. For business or pleasure, we can help! Air Partner, Inc. – Gatwick, United Kingdom – We offer a variety of aircraft charter solutions for 20 passengers or more. From ad-hoc charter services to series charter, Air Partner gives you the reliability, the service & the value you demand. Air Planning, LLC – Salem, NH (BOS) – Air Planning was founded in 1999 with one goal in mind: to provide the finest aviation brokerage services available, arranging flights anywhere on the globe at any time. AirCharter World – Pleasant Hill, CA (SFO) – We are a full service aircraft brokerage firm. We specialize in arranging passenger, cargo, and VIP air charter services. AirCharter.com – Burlingame, CA (SFO) – Private Jet Charter – Upfront Absolute Fixed Price Guarantee. Fly a private executive jet with AirCharter.com and the price we quote is the final price you pay. No ifs, ands, or buts. Airchartersupermarket.com – London, United Kingdom – An online marketplace for your air charter, leasing and support services. A place where airline operators and service providers compete for your services. Aircraft Logix – Portland, ME – US-based air charter company – offering an unbiased approach to selecting the right equipment at the best operating rate. Aircraft options include VIP, Executive Jet or Airliners operating worldwide. Aircraft Management Group, Inc. – Pittsburgh, PA (PIT) – Amg Jets is a full service private jet charter and luxury jet charter company offering worldwide, full service private jet charters for parties of any size. Airstream Jets Inc. – Boca Raton, FL (BCT) – Airstream Jets is an Air Charter Brokerage with worldwide resourcing power. Now with offices in the U.S., Canada, and Australia, ASJ is fast becoming a global leader in On-Demand Air Charter Services. ALG Group, LLC – Van Nuys, CA (VNY) – Worldwide air charter service broker. Concierge level service for all of your air charter needs. Anglo European Aviation AG – Chur, Switzerland – Anglo European specialize in corporate group charter, incentive and conference flights, inclusive tour flying and ACMI / Wet leasing. Asia Pacific Aviation Co. Ltd. – Hong Kong, Hong Kong – Asia Pacific Aviation (APA) was founded in 2008 and is a professional charter broker in Asia. APA is the sole agent of Falcon 2000LX which is based in Macau and Hong Kong. Avidan Support Ltd – Lagos, Nigeria – We guide Airlines through the required due diligence. Our services include Aircraft Inspections, Documents Review, Lease Planning, Bridging, Fleet Induction support & Lease Returns. Avinode – Miami, FL – Avinode serves the global air charter industry as the leading B2B platform to buy and sell charter flights. Over 60 000 trip searches per month are made through Avinode’s marketplace sites. The marketplace sites provide real-time availability, instant pricing and flight time calculation for over 2600 charter aircraft worldwide. Best Air International – Fort Pierce, FL (FPR) – Air charter broker offering air charter options worldwide. Specializing in personal VIP service at modest leveraged rates. All aircraft and all destinations. Blue Star Jets – New York, NY – Blue Star jets is the largest broker of private jets for hire, offering its clientele unparalleled service and the ultimate in luxury and convenience. CanCharter Aviation Inc. – Dorval, Canada – We book everything from very light jets to airliners. You’ll get the right aircraft for the task. Our promise is simple: reliable, turn-key service that meets your specific needs. Centurion Jets – San Diego, CA (CRQ) – A global resource for charter flight procurement. Proven reputation, expertise and professionalism. Fly where you want, when you want and always get the best value. Chapman Freeborn – Gatwick, United Kingdom – Chapman Freeborn is the world’s leading air charter service company, with a proven reputation for innovation, expertise and professionalism. Charter Flight Group – Carlsbad, CA (CRQ) – Worldwide private and business charters. Fly where you want, when you want, and always get the best rates. Charter Jet Airlines – Boca Raton, FL (BCT) – Charter Jet Airlines is providing excellent services with reasonable cost per hour for hiring international private jet charters, plane charters and Aircrafts for business or personal objectives. Corporate Aircraft Charters – Dorval, Canada – All types and sizes of aircraft and helicopters for personal, business, groups, incentives and sports teams. Access to 20,000 aircraft worldwide. CSI Aviation, Inc – Albuquerque, NM (ABQ) – Our services include Aircraft Charter services for both passenger and cargo movements, multiple aircraft program management, and medical flight services. Diamond Jets – Bushey Heath, United Kingdom – Diamond Jets are the Private Air Charter division of EFR Travel, who are a luxury travel company offering corporate, leisure and personal travel solutions as well as luxury worldwide accommodation. E.C.S Jets – Ronkonkoma, NY (ISP) – We offer the largest selection of private jets, charter flights and empty legs with worldwide destinations. Our fleet includes, turbo props, light jets, midsize, heavy jets and executive jets. Egli Air Haul – King Salmon, AK (AKN) – We charter sight-seeing trips, Heli-Fishing trips, or drop-off/pick-up for those who want to explore the wild Alaska, and much, much, more!! Come check out our website for more info. e-Jet Charter Broker – Douglas, Isle of Man – e-Jet has been on the market for 12 years and offers solutions for VIP, Executive, Cargo, Group, Air Ambulance and Heli Charters. When excellence is the only option. ElJet Aviation Services – Las Vegas, NV (VNY) – Empty leg and private jet charters on luxury corporate aircraft. Affordable business travel without compromise on comfort, safety or quality. Falcona Private Jets – Manchester, United Kingdom – Falcona is a charter broker company based at Manchester Airport, we specialize in VIP sports and entertainment experiences by private jet or helicopter. We offer you, tailor-made travel solutions. First Air – Ottawa, Canada – First Air operates a versatile fleet of aircraft for regularly scheduled passenger and air cargo services. All aircraft are gravel and ice strip equipped for landing in remote locations, and many are combination (combi) aircraft capable of multiple passenger/cargo configurations. FlightOn Jet, Inc. – Carlsbad, CA (OKB) – FlightOn Jet is a full-service private jet brokerage group that sources for our clients the very best business jets in the world. We offer competitive round trip, one way, and empty leg pricing. Fly air charters – Chennai, India – Enjoy a Fixed Wing Aircraft joy ride over Chennai. A joy ride above the city or the coast is an unforgettable way to experience the breath taking beauty of Chennai and its surrounding areas. GH Charter Aircraft GmbH – Unterföhring/Munich, Germany – GH Charter Aircraft GmbH is an independent aviation broker that offers individual-scheduled flights for individuals and business. GiveJet LLC – Winter Park, FL (ORL) – GiveJet is a jet charter company that focuses on giving customers the best possible experience. We offer lower fares, reward programs, and a donation of all proceeds to encourage return clientele. Jackson Aviation Group – New York City, NY – As a boutique agency, Jackson Aviation Group serves customers who seek seamless, easy ways to get from point A to point B — as well as those who require world-class management for their own aircraft. JetHub LLC – Scottsdale, AZ (SDL) – – Private charter flight services utilizes the best aircraft operators giving our clients access to the private jets they desire. JetHub’s executive team is dedicated to the client experience. Jets International – Quincy, MA (BOS) – Private Jet Charter, Jets International is more than luxury private air charter. Our award-winning technology is changing the way people fly. KJR Aviation – New York, NY – KJR Aviations offers full service private jet charters. Each one of your charters can be transformed from spa to productive board room to pre party venue to best suite the needs of your party. Kugel Travel & Transportation LTD – Sebring, FL (SEF) – KugelAir home page describing operations and capability. We do Pax and Cargo and some limited pilot services. Las Vegas Jet Charter – Las Vegas, NV (LAS) – Las Vegas Jet Charter is a private jet rental company that is dedicated to making the expense of private jet charter cost-effective without compromising extravagance, safety or customer service. Lealding Edge Aviation – Doylestown, PA (DYL) – Leading Edge Aviation is a leading provider of charter flights & aviation services offering flights in Pennsylvania and New Jersey, as well as throughout the East Coast. Located at Doylestown Airport. Lido Jets – Phoenix, AZ (PHX) – Lido Jets has Every Jet. Everywhere. We are your premier charter broker offering unparalleled service in the private charter industry. Our friendly specialists are available 24/7/365. Lite Flight, Inc – Van Nuys, CA (VNY) – Operated by LiteFlight, INC., Los Angeles Charters connects customers with charter operators around the globe. We Charter Airplanes and Helicopters. Luxe Air – South Burlington, VT (BTV) – Worldwide full service air charter broker with 20+ years of experience in the aviation industry. Licensed dispatcher & commercial pilot on staff. Available 24/7/365. Miami Air International – Miami, FL (MIA) – Miami Air International has been flying heads of state, professional sports teams, corporate executives, cruise passengers and celebrities all over the world. Our two all first class Boeing 737-400’s with 68 first class seats are perfect for the executive meeting or for the upcoming concert tour. You can use one of our seven 737-800’s to move up to 172 passengers from New York to Los Angeles or Chicago to France. New Flight Charters – Jackson, WY (JAC) – Since 2004 – Best Price Guarantee – Perfect Safety History – The Largest Selection – Customer & Industry Reviews – Empty Legs Listing & Pricing Directory – One of Oldest & Most Respected In Industry. Orlando Jet Charter – Tamarac, FL (FXE) – Orlando Jet Charter arranges private flights to/from Orlando, and offers aircraft management & marketing services in Central/Northern Florida. 24-hour access to thousands of private jets and props. Paramount Business Jets – Leesburg, VA (JYO) – Paramount Business Jets caters towards business executives for their corporate and private jet charter rentals, read more about our Paramount Jet Card membership. Pelican Air Charter DWC LLC – Dubai, United Arab Emirates – Pelican Air Charter is a boutique & specialist air charter company in Dubai, UAE. With 40 years experience in the private aviation industry. Focusing on safe & reliable operators & unparalleled service. Phoenix Air FBO – Cartersville, GA (VPC) – Phoenix Air is a U.S. certificated airline based in Cartersville, Georgia, USA serving a wide range of clients by providing a wide range of aviation services. Prestige Jets – London, United Kingdom – Prestige Jets is the UK’s leading private jet charter & helicopter charter specialists. Offering private air charter services to VIP, corportate and private clients worldwide. Private Jet Spain – Malaga, Spain – Private Jet Spain Europe provides Jet Charters, Private Air Travel, air cargo/ambulance flights in Spain, Malaga, Madrid, Paris, Ibiza, London, and Moscow. Call us for your private jet, air charter and hire to and from Spain. PrivateTravelJet – Newcastle, United Kingdom – Private jet hire and private jet charter specialists based in the UK and Russia (Moscow). We operate private jet aircraft worldwide. Prive Jets – North Miami Beach, FL (MIA) – With access to 5,000 private jets and 140 highly trained professional travel consultants worldwide, Prive Jets is simply the best choice in air charter. Skyways, Ltd. – Huron, SD (HON) – Skyways LTD is proud to offer you charter service aboard their Beechcraft King Air 200. Air Charter is the fast efficient way to conduct business throughout South Dakota as well as throughout the country. Status Jet, LLC – Addison, TX (ADS) – At Status Jet, we are about more than just a private jet charter company, we focus on turning each private flight into a unique experience that couples exceptional service with our high standards. Talon Air, Inc. – Farmingdale, NY – Talon Air is the leader in on-demand luxury air charter services. Talon Air owns and operates a fleet of new aircraft, flown by experienced pilots and offers luxury amenities and concierge service resulting in a seamless travel experience. The Early Air Way – Van Nuys, CA (VNY) – The Early Air Way – reliable jet charter company who provides private jet rental and corporate jet charter throughout US as well as to other countries. Travcon Charter Brokers – Oberuzwil, Switzerland – TraVcon optimizes your travel time by providing individually customized long haul trips. Specialising in shuttle flights on business jets TraVcon links cities that cannot be reached easily on conventional scheduled flights. This convenience of travel combined with comfort and privacy means increased personal efficiency and more time for your business. Valley Jet – Scottsdale, AZ (SDL) – Based in Scottsdale Arizona and San Deigo California, Valley Jet is the premier provider of exceptional private travel charter services. VidaJets – Boca Raton, FL (BCT) – VidaJets offers a truly unrivaled and exceptional service as well as a vast portfolio of charter options and an enticing range of worldwide destinations. ViroFLY LLC – Pompano Beach, FL – ViroFLY is a private jet membership platform consolidating up to 10,000 private jets among 2,800 licensed operators worldwide. wingz up – Brooklyn, NY (LGA) – The best in charter services. Any size at anytime from any place to any any where. World Jet One, LLC – Edison, NJ (TEB) – Greater New York area. Offers Clients Air Charter Services through their Brokerage Service. Worldwide Service. Catering, Security, and Ground Transportation. (WJO installs Wi-Fi in any aircraft).